Installing over-the-range microwave venting is not a beginner's project. But if you are comfortable working with electrical appliances and power tools, this should be a project that should not take more than a few hours of your time. This project is fairly straightforward but somewhat time consuming. Turn off the electricity to your kitchen at your circuit box before beginning this project. Find where you are planning to install and run the vent ducts. You have two options here. Either you can go through the wall and outside or through the ceiling and then through your roof to the outside. This decision will depend on which method is best according to your kitchen's design. Use a hammer or a drill with a small bit to locate any wall studs or ceiling joists. A vent should be installed between them when possible. Mark the location where you will install the vent. Cut the hole where you will be installing your venting, using a power jigsaw or manual keyhole saw. Then go outside and cut a hole on the outside, wide enough that the vent is able to lead outside. If you have a brick or stone exterior, this may require special tools. 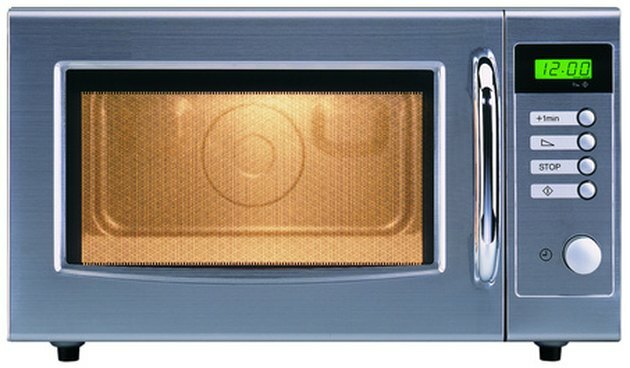 Install your over-the-range microwave venting by inserting it into the hole you have just made from inside your kitchen to the outside. Make sure you pay close attention to your specific vent's instructions, so you set up the fan, filter and all electrical parts correctly. Screw your vent into place, and make sure you have completed all electrical connections. Turn the electricity to your kitchen back on, and switch on your above-the-range vent to make sure it is working properly. If you have installed the fan and all the electrical components correctly, it will pull air from inside your kitchen and release it outside, either through the outside wall or through the roof, depending on how you installed your ventilation system. Seal around the outside of the vent with caulking or another appropriate sealant.